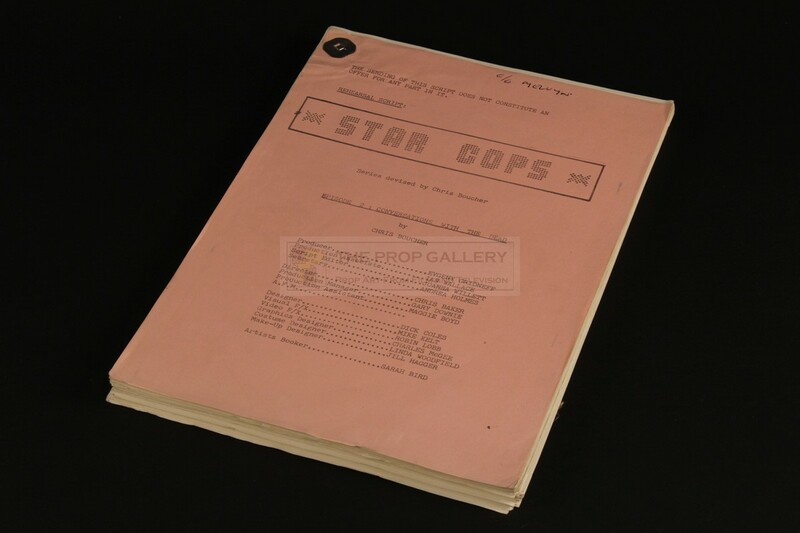 An original costume used in the production of Star Cops, the 1987 BBC television series penned by prolific science fiction writer Chris Boucher. 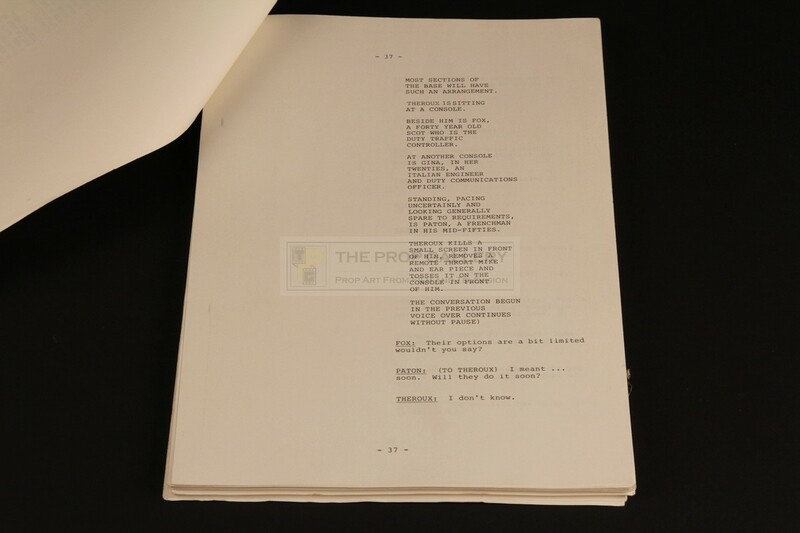 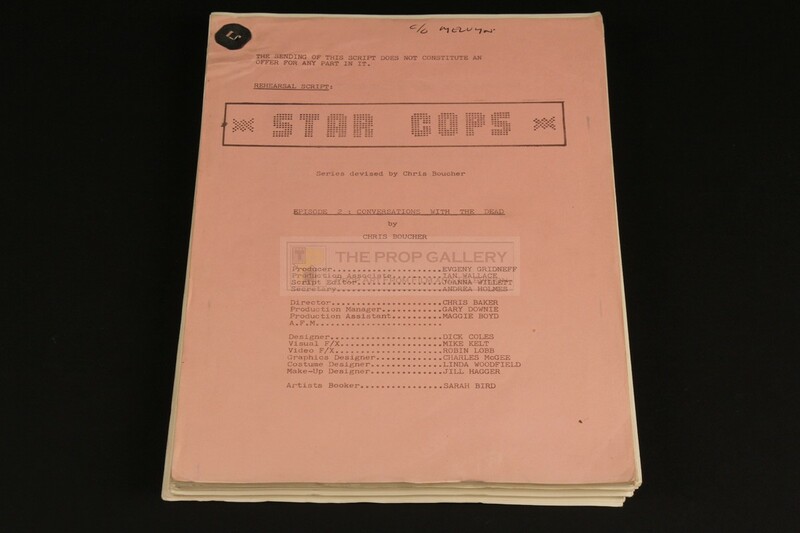 This is an original script for the second episode of the series Conversations with the Dead, comprising of 118 pages in addition to further pages to the front detailing cast, sets and model miniature effects with a pink cover page featuring a series logo and list of principal crew. The front cover page is hand inscribed 'C/O MELVYN' in black ink for Melvyn Friend of the BBC Visual Effects Department. The script remains in excellent production used condition with some minor edge wear and the rare page partially detached but held under pin, otherwise very fine. 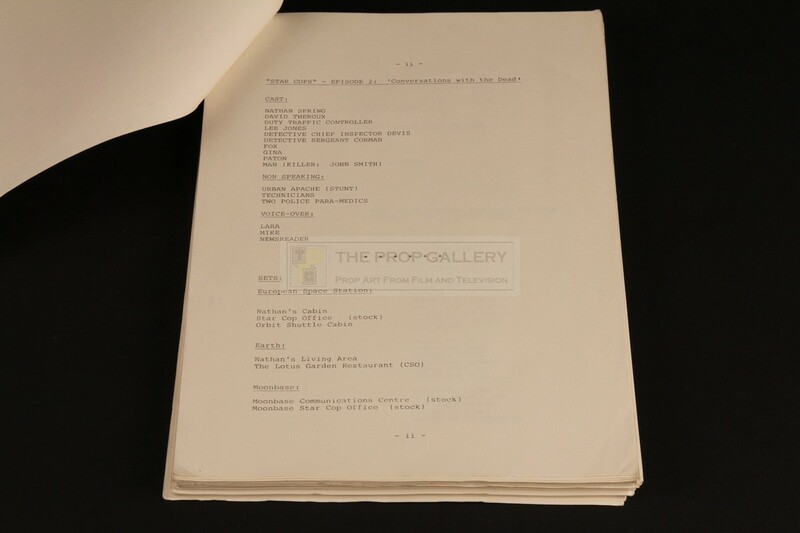 A rare example of original production material from this cult science fiction series.